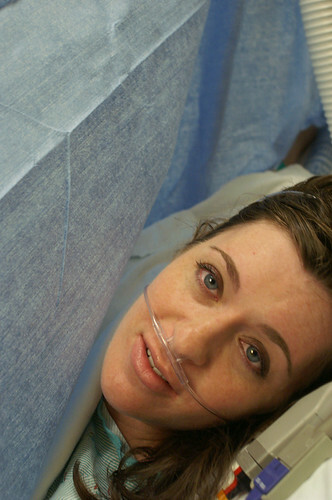 On the day my baby was born, I was nervous. 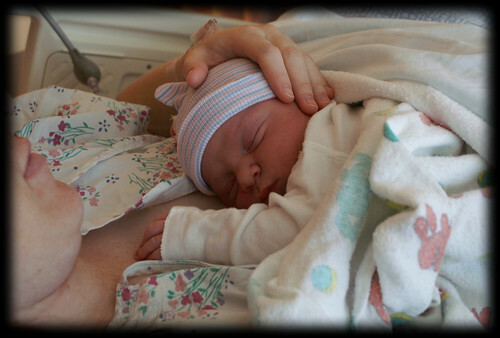 I wasn’t sure if we’d made the right decision to have a repeat C-section and I kept thinking how weird it felt to have it all planned out without an ounce of the drama that typically surrounds childbirth. I was also very tired and wondered if any mother can sleep the night before she knows she’s giving birth at 7:30 am the next morning. 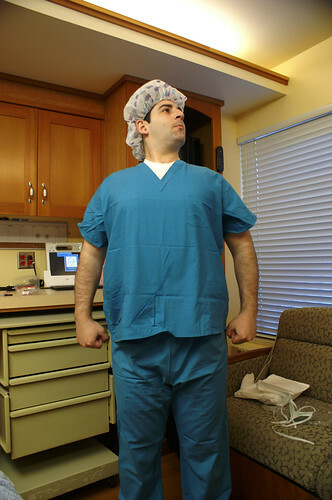 On the day my baby was born, my husband was a proud man who loved his borrowed scrubs. I was very grateful to have him there with me. Especially when he and my wonderful doctor (who is also Mormon) gave me a very comforting priesthood blessing before the surgery. 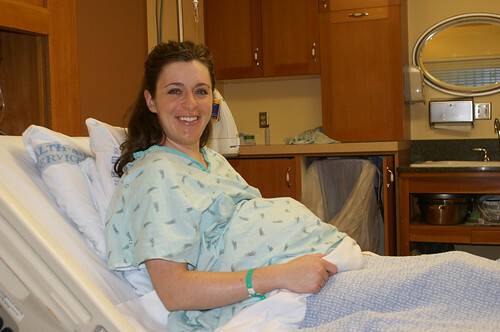 I was also grateful that my wonderful anesthesiologist (who was the same one from Bubbers’ birth!) allowed my husband to be with me non-stop during the surgery– even when he was giving me my spinal, which he didn’t normally allow. On the day my baby was born, the surgery couldn’t have gone better (though my head filled with extra blood after the baby came out and it was the strangest, heaviest feeling). I felt calm and at peace after my blessing and I marveled that I’d finally meet the little person for whom we’d created a body. On the day my baby was born, my husband and I were the only ones who knew he was going to be big. 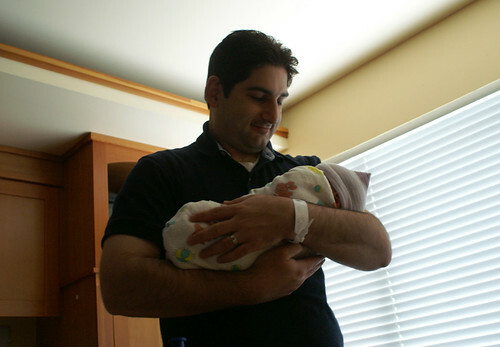 But we were still surprised when he weighed in at 9 pounds, 6 ounces. And I finally understood why it had felt like my body was falling apart when I was pregnant. And I was grateful that all those pregnancy pains completely disappeared. I was also extremely relieved that I did not attempt a VBAC with a child that size and a head circumference almost off the charts. And I no longer questioned our decision. 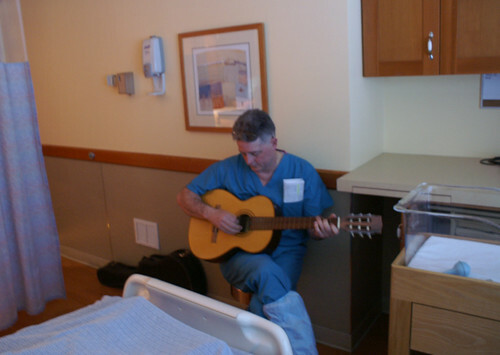 On the day my baby was born, our dear doctor welcomed him with a personal concert. 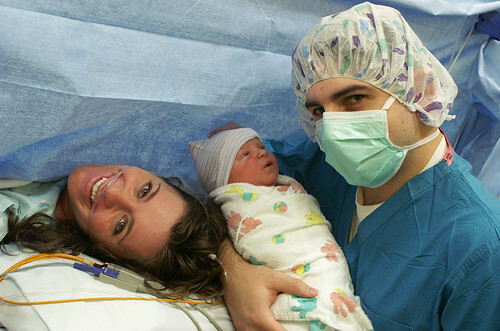 And I was intensely grateful for modern medicine and the excellent skill of this doctor that very likely saved my life and Bubbers’ when he was born via emergency C-section two years ago, and then made it possible for me to safely deliver another precious babe via scheduled C-section now. On the day my baby was born, I loved to look up from my hospital bed and see this. The wonderful father of one son who was now the father of two. The absolute joy and love that radiated in his face was intoxicating to watch. On the day my baby was born, I wondered where he’d been all my life and how we could have been a family without him before. And I never wanted to let him go. That was absolutely precious! Such a miraculous chapter in the book of life! ~;o) Hope all is well! What a beautiful birth story! I’m so glad that S made it here safely and that you are both doing so well! You guys are such a sweet family. Isn’t it just one of the most amazing days that we have been given by God. Absolutely beautiful! Everything went perfectly.